The U.S. Citizenship and Immigration Services (USCIS) is proposing a new rule, which would allow certain international entrepreneurs to be considered for parole (temporary permission to be in the United States) so that they may start or scale their businesses in the United States. Read the advance version of the notice of proposed rulemaking: International Entrepreneur Rule. To submit comments, follow the instructions in the notice. As is always the case when rich countries seek to attract entrepreneurs they are seeking those that are already fairly well off and successful. And despite the difficult hurdles for entrepreneurs and business people to get working visas to the USA there are still many seeking to do so. This would be a good step, even if it leaves many people without an opportunity. Despite the advantages of freelancing, few people understand why it’s one of the best decisions you could make in your career. Working for other people brings many challenges. Sadly, often that can take the form of being micromanaged. In organization heavily weighted toward bureaucratic decision-making, you have to conform to corporate policies to keep your job even when the rules are outdated or don’t make sense. Freelancing allows you time-freedom, allows you to make up your own rules on how to use the day, and allows you to focus on what you do well to the point of mastery. In addition, there is no cap on your income, no office politics, and nobody to ask permission from to go to the bathroom because you’re leaving your desk unattended. As a freelancer, you also get to make lifestyle decisions that thrill you. You can pick and chose what works for you, you can chose to call Directv, HBO and/or Netflix. If you’re a gourmet cook, you can spend time in the kitchen making your favorite meals. And if you’re a health enthusiast, you can stick to your special diet to build muscle and burn fat and then go to the gym when it’s less crowded to sculpt that perfect body. As a freelancer, you get to choose your own lifestyle. You don’t have to be tied to a cubicle in a corporate maze to earn your living. You also don’t have to hope for a shred of cheese to be tossed your way now and then by your overlords, because you can pitch your work far and wide and get as much cheese as you like. While there is much more that can be said about the pleasure of doing work you love all day long and the freedom to create your ideal lifestyle, let’s take a look at 3 ways to flourish as a freelancer. In a duel, the combatants get to choose their favorite weapon because this gives them the greatest chance of winning and saving their own lives. Similarly, in freelancing you get to work at something you do naturally well to win at the game of money-getting. If you love to write, create graphics, take photographs, design websites, write code, and so on, there is someone willing to pay you to do it for them. They either don’t know how to do it for themselves or they know how to do it, but don’t like doing it. What you find easy, they find difficult. In fact, what you love to do is probably more like play than work. Whatever you’ve chosen to do as a freelancer, you probably have long aspired to do it better. Consider your work as a trained apprenticeship. Let’s suppose you love to write blog posts. When you set up your own blog, you probably won’t get paid for it until you’ve spent a considerable amount of time establishing your reputation as a blogger. However, other people don’t have the time (or inclination) to write for their own blogs and will gladly hire you to keep their content schedule on track so that they can build their brand. While you can certainly get plenty of practice writing blog posts, which will make you a better writer, you can take it one step further. Reinvest some of the money you earn as a blogger to take a master class or two from top bloggers to learn how to create viral posts. Meanwhile, there is nothing to prevent you from building your own blog while you work. Similarly, you can upgrade your work as an author by ghostwriting books or as a photographer by doing photo shoots for clients and using photos to spice up your blog posts (like this one I took). In other words, whatever your talents, you can use freelancing as a way to get really good at it. Working at a job you hate is a recipe for unhappiness. Think like a business person. Even if you do get to do what you love all day, get generously compensated for it, and can get the experience and the educational opportunities to master your craft, freelancing is still a business. Besides mastering the golden rules of making money, you should also get good at building your platforms, growing your portfolio, collecting proof, and consistently pitching. Platforms. You build your brand through your website by creating a blog and by establishing a social media network. Proof. How do prospective clients know that you can deliver what you’ve said you can on your platforms? You have to show proof based on past work. Collect testimonials from clients whose business you’ve helped improve through your contribution. Pitching. While people will come to you because of you brand name and referrals, you also have to get good at pitching. This means actively soliciting work. Think of freelancing as a combination of farming and hunting to sustain yourself. For long term food supply, you can plant crops. This is what taking classes in your craft, building your platform, adding to your portfolio, and collecting testimonials will do for you. Meanwhile, you don’t want to starve while your crops are growing, so you also need to do some hunting. This is where pitching helps out. Some people are happy working for others and that is fine. But for those that are constantly frustrated and unhappy there are alternatives to explore. It isn’t easy but it may be that it fits your personality and desires more to design your own job. If you are willing to meet the challenges it is a path that many have found to be very rewarding. Money is in some respects like fire; it is a very excellent servant but a terrible master. When you have it mastering you; when interest is constantly piling up against you, it will keep you down in the worst kind of slavery. But let money work for you, and you have the most devoted servant in the world. It is no “eye-servant.” There is nothing animate or inanimate that will work so faithfully as money when placed at interest, well secured. It works night and day, and in wet or dry weather. Those who really desire to attain an independence, have only to set their minds upon it, and adopt the proper means, as they do in regard to any other object which they wish to accomplish, and the thing is easily done. But however easy it may be found to make money, I have no doubt many of my hearers will agree it is the most difficult thing in the world to keep it. The road to wealth is, as Dr. Franklin truly says, “as plain as the road to the mill.” It consists simply in expending less than we earn; that seems to be a very simple problem. The thoughts are worth reading today. You can update things a bit, from read the newspapers, to read the websites, but mainly it is sensible advice today. Turo provides peer to peer car rental in the USA. I have rented cars through them before and have found it useful. A big part of the reason I do so is I find the big rental companies pricing so opaque. And if you want something like an SUV the pricing is often very high through car rental companies. And it isn’t just the pricing that is opaque through the big rental companies, even the rules are crazy. Some seem to block you from renting if you are local (for example, if you didn’t fly into the city) or if you don’t have car insurance (which I don’t because I don’t own a car). It is all just a lousy customer experience to deal with them. 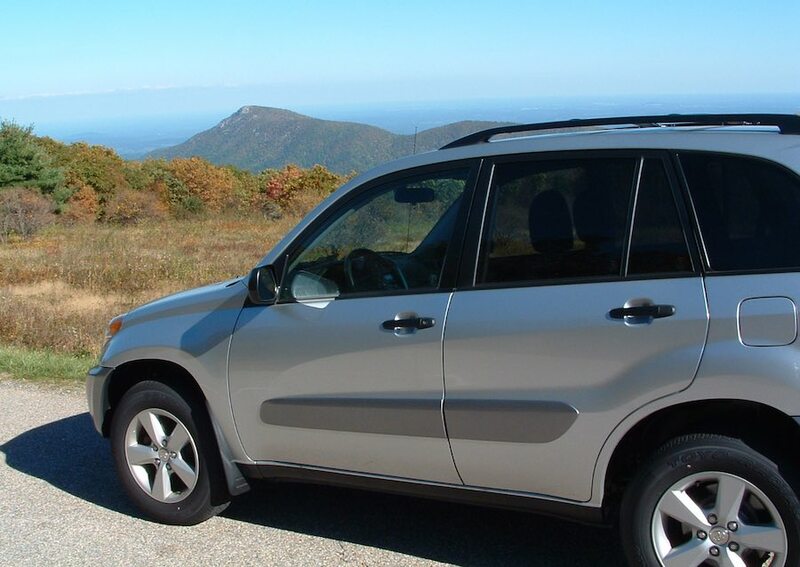 My Toyota Rav 4 on a visit to Shenandoah National Park in Virginia. You can also chose to rent out your car through Turo. It isn’t really ideal for doing while you travel overseas, as someone needs to deal with the car (get people the keys, check it out, clean it up…). But if you had a friend that wanted to pick up some spending money maybe you could leave it with them while you travel. When I went on my oversea travel adventure I sold my car before I left. And actually I still would as I planned to be gone for years. But, if you were doing something like going to South East Asia for 6 months, you could possible have your car earning money while you were gone. Eventually there might even be model where you can leave your car with a location that deals with arranging pickups etc.. I think that would be a nice addition to this business. I think it is also a pretty good business for Turo also. One big advantage is they can sell insurance at a huge markup (so make lots of money) and they also get a portion of the rental payment (I think 20% of it). Medical tourism (traveling overseas to get medical care) is growing and likely to continue to do so. The USA’s extremely high costs of medical care push people to find more reasonable health care solutions. Also in some countries the very rich seek out advanced treatments outside their country. Seeking more cost effective and more customer focused health care options are likely to lead to booming markets in catering to these customers. Many countries have seen this as a smart market to focus on. And I think they are right. It is a booming market and the USA’s mess of a health care system doesn’t seem to be getting any better and certainly isn’t getting cheaper. In Europe the demand is largely driven by services that have very long waits if done using their national health system. Those that can pay, can pay to have it done where they live, or they can travel and have it done much cheaper. The jobs provided in countries serving medical tourism are very good. And it brings in a great flow of foreign currency. Singapore, Malaysia, Thailand, Philippines and Mexico are putting forth smart governmental efforts to boost this industry in their countries. 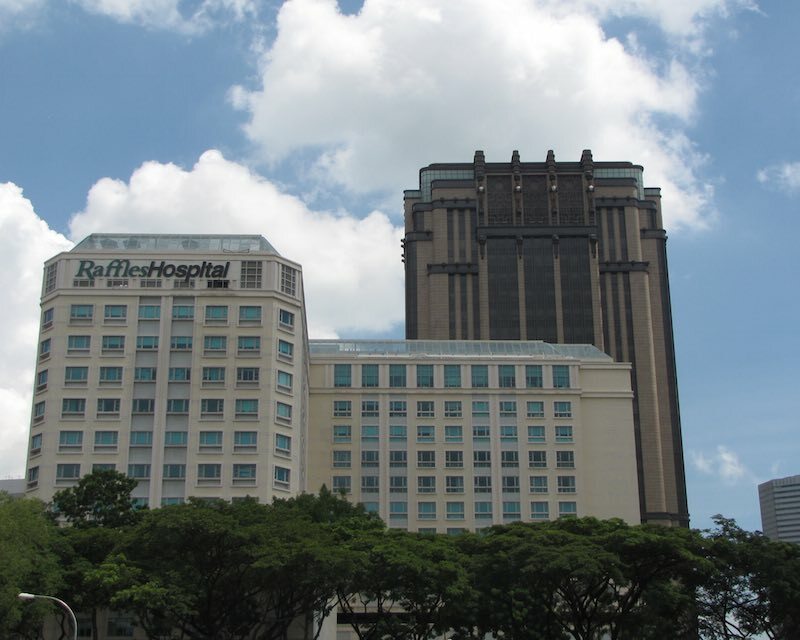 Raffles Hospital, Singapore by John. See more of my photos from Singapore. Most of the time health insurance won’t pay for optional (emergency care while you travel depends on your policy) health care internationally. So most medical tourism is paid for by the person being treated. This is a somewhat silly policy as insurers could save a great deal of money even by only paying say 50% or less of what they would pay locally for those who were willing to travel. And some insurers are letting people travel for health care (and even giving them incentives to do so). The governments seem willing to pay inflated local prices and so use things like the fear of untrustworthy foreign health care as unsuitable. And then they work with local health industry interests to restrict covered health care options. There is some sense in worrying about abuse but there is also hundred of billions of dollars that countries like the USA could save by letting people seek out health care solutions much more cheaply overseas. Europe could also save a great deal. Some countries are doing smart things. At the same time Singapore is building up medical tourism for complex medical solutions (drawing people from SE Asia and further away) they are also working to boost the use of Malaysia to provide less complex medical solutions to Singaporeans. As is often the case, Singapore’s government is acting wisely. Malaysia, Thailand and the Philippines are going after the large market for reasonably priced basic health care. Which is smart for all 3. They are also looking to move up-market (especially Malaysia and Thailand) which is also fine, but there is likely to be great competition and a much smaller market so I would suggest they do so, but do so with caution. India has potential but has the general problems with infrastructure and a difficult business climate. The potential is huge though. Other countries targeting this market include Brazil, Hungary and Costa Rica. I am very impressed with Start-Up Chile. It is a Chilean Government run program that attracts early stage, high-potential entrepreneurs to bootstrap their startups in Chile, using it as a platform to go global. The goal of the program is to position Chile as the leading innovation and entrepreneurial hub of Latin America. Silicon Valley provides huge benefits to the USA economy. Many countries are envious of this advantage and wish they could gain such economic benefits. But there is a big gulf between wishing and accomplishing. That path requires doing many things right. Start-Up Chile alone is but a small step in the right direction. But it is a very interesting one. And they have kept it up for several years now. It is amazing how many efforts to create inviting climates for entrepreneurs start with a great flourish as diminish to nothing within 5 years. For the current application (open during the month of September) Startup Chile is looking especially for startups in robotics; healthcare and biotech; clean energy; and education. In my opinion the benefit for entrepreneurs is worthwhile (and especially strong for those in Latin America) but I am even more impressed with the sense the Chilean government is showing for talking concrete steps to boost the entrepreneurship climate in Chile. There are quite a few very good efforts to incubate startups. Few government though are doing much beyond talk. 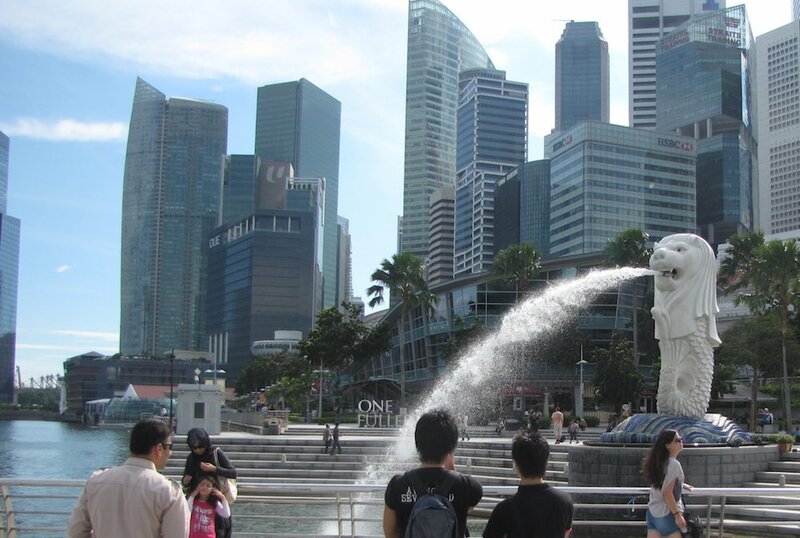 Singapore is another country that is taking fairly smart actions (which isn’t so surprising given Singapore’s long term evidence of smart government). Many countries understand the benefits of creating a strong climate for entrepreneurs. And given the especially easy location independence of internet based businesses there is a public relations battle for attracting these entrepreneurs (even if most countries don’t seem to have caught onto this reality). Chile has been getting great publicity from Startup Chile and if they can successfully build on that success they will gain a very nice advantage at very little cost. Like so many startups the Startup Chile program itself has to make sure it builds from the base it has built instead of just fading away. One of the annoyances of travel and even more so with business (for digital nomads or expats) is converting money between currencies. It actually is fairly easy now for a traveler but can be costly. When you have a business and need to convert between currencies it can be very costly. Using ATMs to get cash in the local currency normally give better rates than you can get in most other ways. And you are unlikely to be outright swindled any more than large banks do (which if you follow the news is a great deal, scandal after scandal of illegally taking from customers in violation of the law). 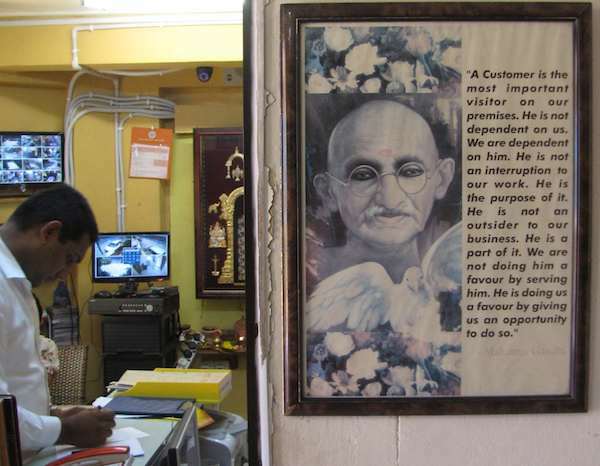 The transaction costs of ATMs can be ludicrously high. In Thailand all banks seemed to have agreed to charge foreign cards $6 for a transaction. That is crazy. But you don’t have much leverage. Schwab, and a few other, financial institution will reimburse you for ATMs fees. Many digital nomad and international travelers make sure to get such an ATM card which is wise. And you can occasionally find banks that are must more customer friendly. The MayBank in Siem Reap, Cambodia didn’t have ATM charges for me. And I found a bank in Hoi An, Vietnam that didn’t charge either (I can’t remember the name). It may well be that they just didn’t charge do to deals between the banks so I don’t know who else it would work for. Even though the currency exchange rates are normally not too bad on ATMs or using a credit card they are still weighted in the banks favor. And I don’t know of any banks that disclose how wide a profit margin they take for simple currency transactions (and I am sure it fluctuates depending on the situation). When you need to transfer money (for example if you are paid in US$ but have a bank account elsewhere or if you are making a big purchase in another location) and convert currencies you can find the financial institutions taking advantage of you. There are several currency exchange services that have stepped into this business opportunity created by the large margins financial institutions have been taking from their customers. One such service is Transfer Wise. As Transfer Wise says “Banks charge 5% in hidden fees. People on TransferWise pay 0.5%.” While banks might want to argue they don’t disclose the hidden fees and bad exchange rates they use so they don’t have much in the way of an evidence based argument to make. TransferWise saves you money by matching your money at the mid-market rate. There’s just a small service fee and it’s all shown upfront. You can read more about our pricing here. To demonstrate the possible savings you’ll get by using TransferWise, an average bank fee and exchange rate is shown. It’s based on independent research from Charterhouse Ltd, obtained on November 2014. The research looked into the costs of sending 1000GBP from a UK bank account, to another bank account in Germany. From this data, other currency route savings, fees and average exchange rates are worked out as well. They still serve largely the USA and Europe but hopefully will expand further (they are also in India). CurrencyFair is another good option and they posted a blog post looking at the costs of using old banks and even TransferWise – Money Transfer Companies Compared. The costs (including hidden costs of the banks are huge). The costs between these two are close (Currency Fair said at the time for express service they were significantly cheaper). CurrencyFair is actually a peer to peer service to match people needing to make transfers that balance each other out. 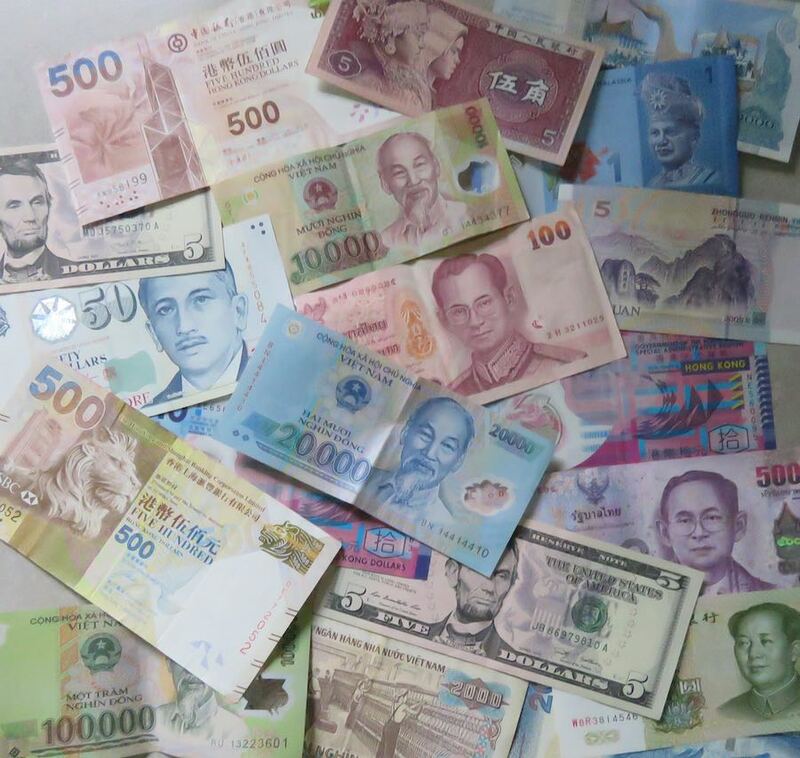 SE Asia, and beyond, currency: China, Hong Kong, Singapore, Malaysia, Thailand, Cambodia, Vietnam, USA. USA currency is used in Cambodia for most things and USA currency is used most airports to pay visa fees to the governments. 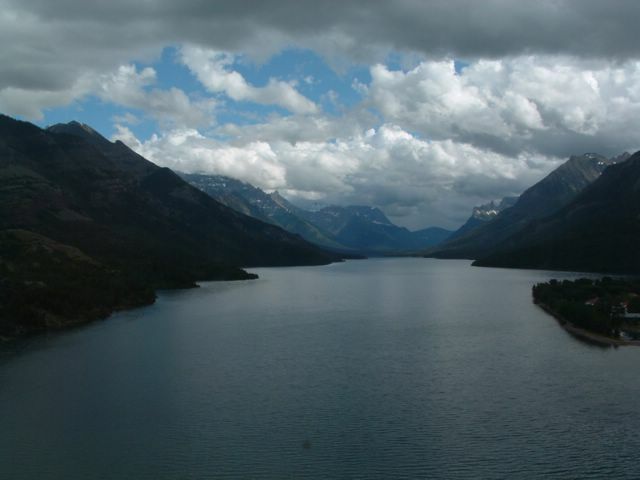 Photo by John Hunter, see more photos of my travels. If you are moving large amounts of money it definitely makes sense to seek out protection from old fashion banks ripping you off. These are the same banks agreeing to likely over $500 million in fines for currency manipulation (because even these huge profits on the backs of customers couldn’t satisfy bankers demands for multi-million dollar bonus for hundreds of employees at these banks every year). CurrencyFair offers a peer to peer marketplace that lets you set a offer price and if someone agrees you can even been market exchange rates. Of course, if your currency happens to be a bit under-demand at the time you may get a bit less than market price. TransferWise sets the price based on the forex markets and then it is just up to supply on the demand on their marketplace to determine if you can find someone to take the other side of the trade. Dealing with banking issues is one of the most difficult aspects of a small digital nomad business. Finding a bank for a small business isn’t easy. Add to that dealing with international banking and things get very challenging. Jurisdictions: Bermuda, Bahamas, Cayman Islands, Guernsey, UK. Minimum deposit/balance: 5,000 BMD/USD/GBP for business banking, 250 – 500,000 BMD/USD/GBP for private banking. Remote account opening: In most cases. Cards: Full coverage, available in USD and GBP. All things considered, the finest bank in the Caribbean and Bermuda. 2009 to 2010 were rough years for the bank, but they bounced back to profits by the following year. Although the share price took a massive dip, but the Butterfield signature quality was never compromised. Card services are some of the best in the region, with two airline partnerships being available (AAirways and British Airways). Internet banking is strong but the mobile banking app, although light-years ahead of other banks in Bermuda and the Caribbean, leaves a lot to be desired. It provides enough information for you to screen through and find some good options for you. And then you can do more research and pick one to try out. I would definitely do more research, you shouldn’t trust 1 internet post to find a bank. Finding a bank that accepts EFT deposits from the USA makes a big difference but this can be a challenge. Many internet companies still are stuck a decade or two ago as far as banking is concerned. Many only pay via EFT or check. Some will also pay via paypal. The options are limited for people in many countries (with poor mail system and paypal is also not available to people in many countries). Of all my efforts in creating a digital nomad existence banking has been by far the biggest negative surprise. It has just been a huge hassle. I may well look to using one of these banks if I can find a better option for me. It has been awhile since I created this blog and haven’t posted to it, but my plan is to be more active posting here in the future.